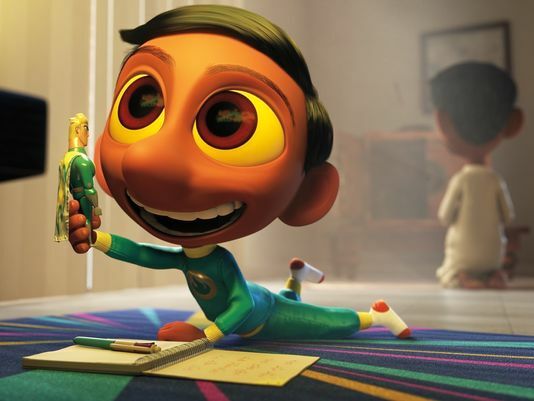 Sanjay’s Super Team is easily the most personal of all of Pixar’s short films. It might also be one of their best. 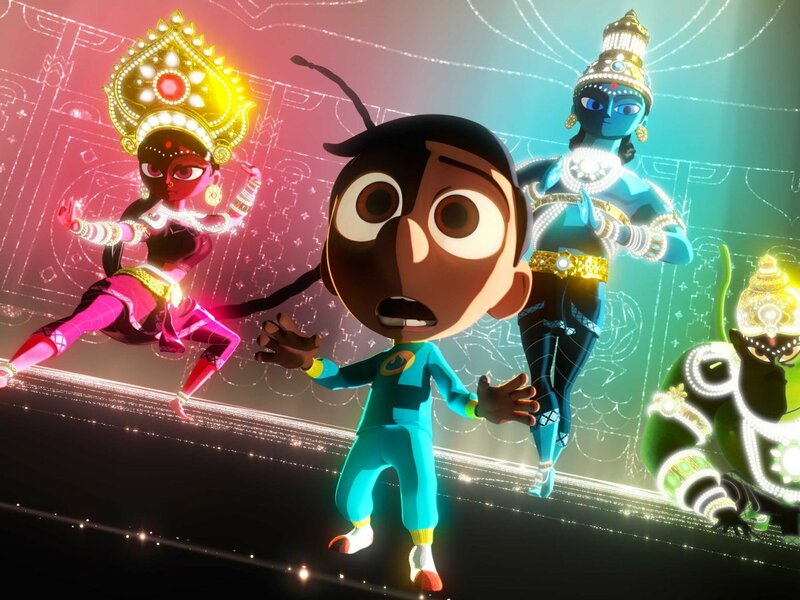 Written and directed by Pixar animator Sanjay Patel, the short is based on Patel’s childhood experiences of his American cultural interests butting heads with his family’s Hindu traditions. The short film depicts a young boy – similarly-named Sanjay – trying to watch his favorite super hero program on TV, while his father takes part in a daily prayer. But when Sanjay’s TV time gets too loud and distracting, his father turns the TV off, wishing for his son to join him in prayer. Sanjay joins his father, but like any kid, his mind is easily distracted by thoughts of super heroes and the like. And soon his prayer turns into a daydream where the Hindu gods take on roles like super heroes. The setup is really simple, but it makes for a touching story about a father and son making a spiritual connection that, despite the cultural differences, finds a middle ground between the two. It’s also interesting to see a Pixar short that’s overtly based on the life of its creator (the opening humorously reads it’s “mostly” based on a true story). It also turns into a rather eye-catching piece of animation. The character designs for Sanjay and his father are more caricatured than what you see in Pixar’s feature films. And once the Hindu gods start battling a genuinely menacing demon, it really takes on a unique visual look. Not to mention it also uses camera angles to great effect, as they emphasize the action in a way that outdoes most of the Marvel super hero movies we see today. I might even say the action scene outdoes them too. 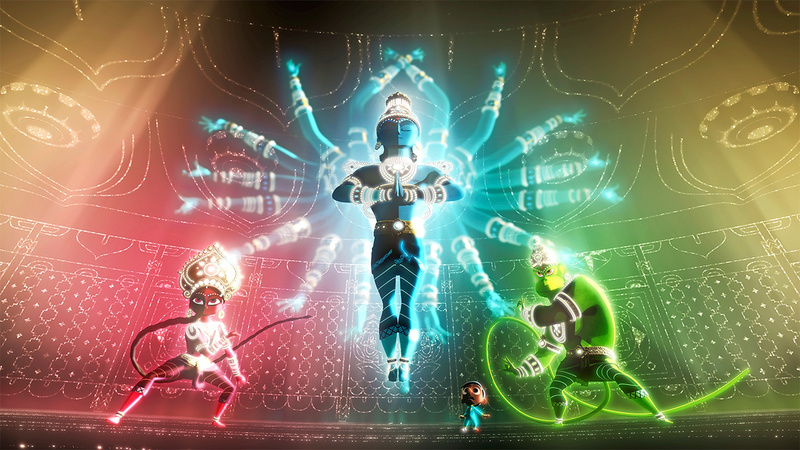 But it’s ultimately the simple, personal story that makes Sanjay’s Super Team a unique and terrific entry in Pixar’s canon of short films. Even at just seven minutes, it manages to give that story a good dose of heart and embrace a culture in a way that you don’t see too often in mainstream animation. Between Lava, Riley’s First Date? and now Sanjay’s Super Team complimenting Inside Out and the upcoming The Good Dinosaur, 2015 may be Pixar’s best year in both the feature film and short film fronts. And that’s saying something.